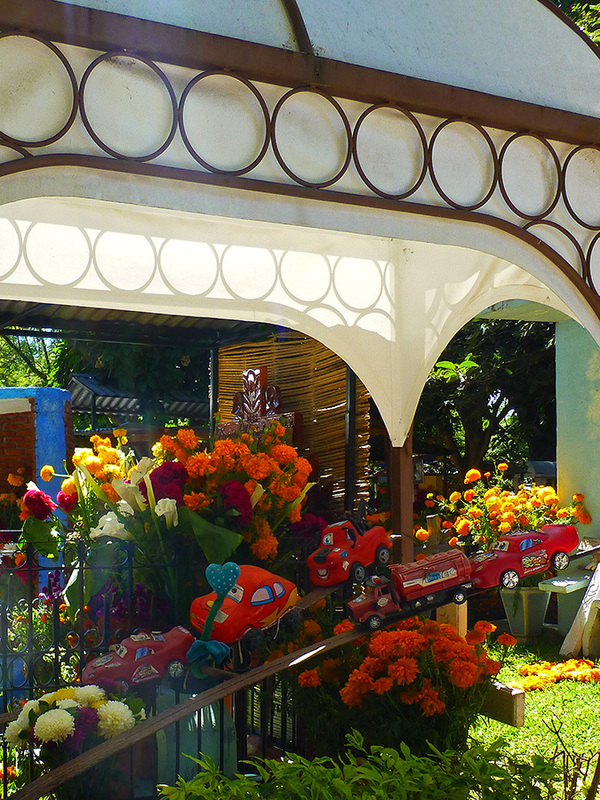 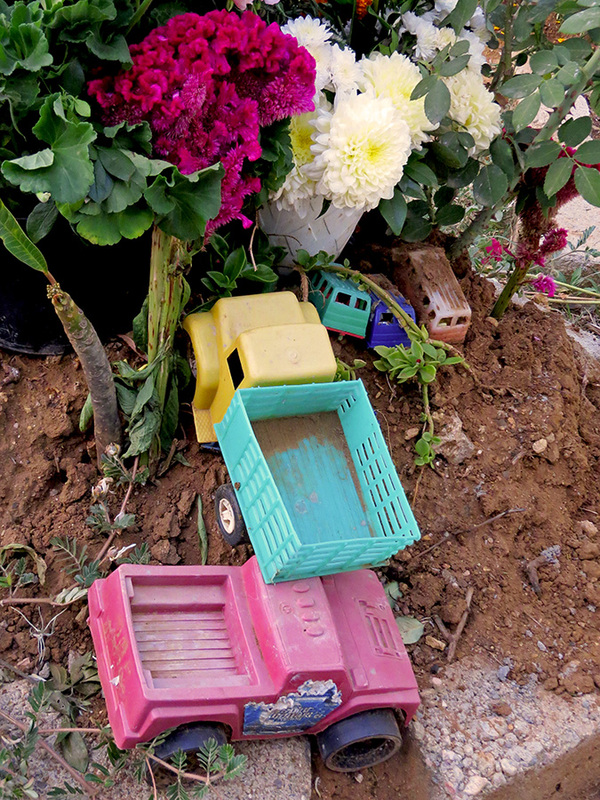 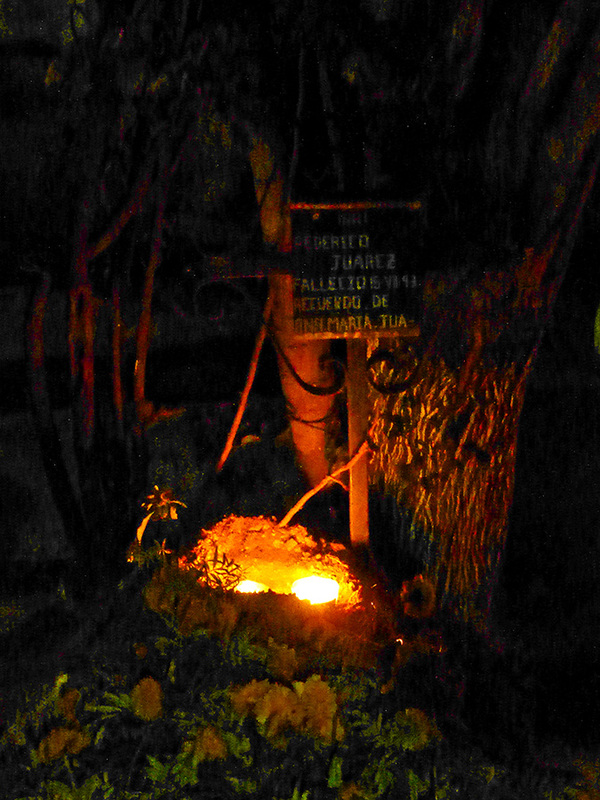 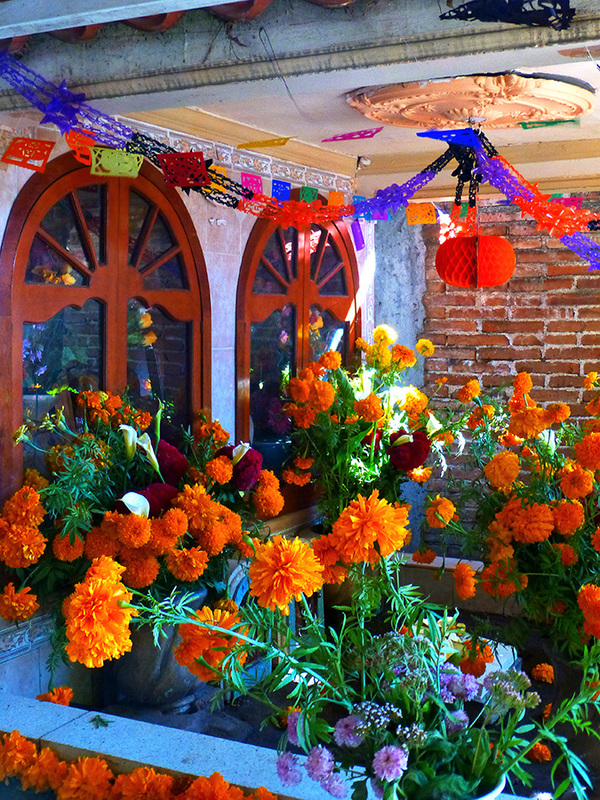 Today I ventured down to Calle de Ignacio Rayón (the block between the Benito Juárez and 20 de Noviembre mercados) to purchase flowers for my Día de Muertos ofrenda (an altar of offerings). 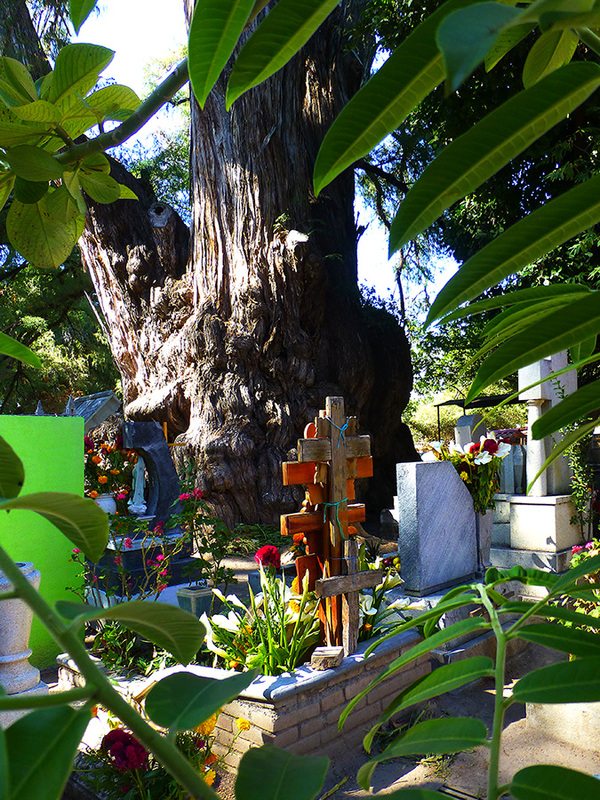 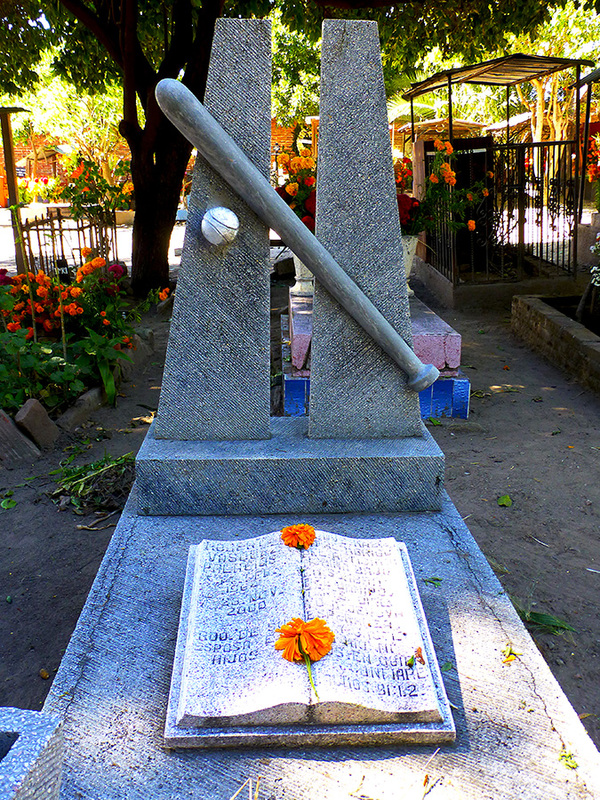 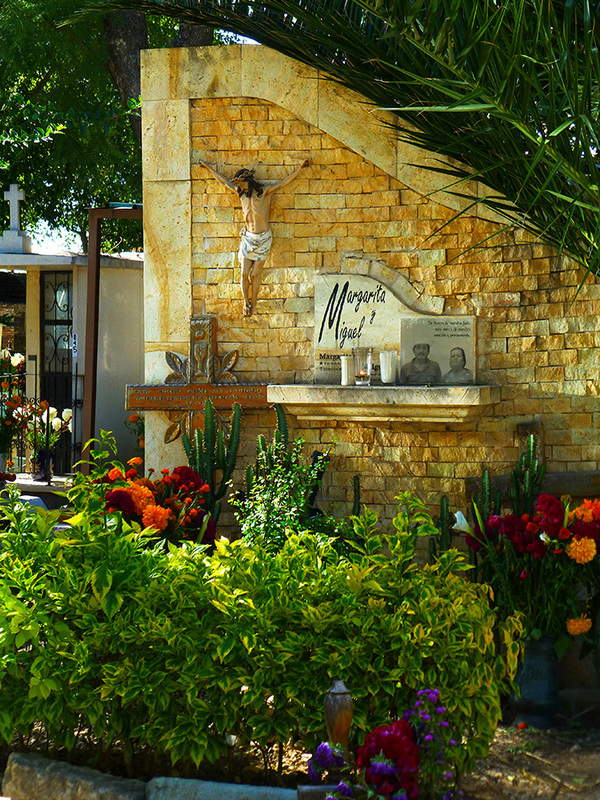 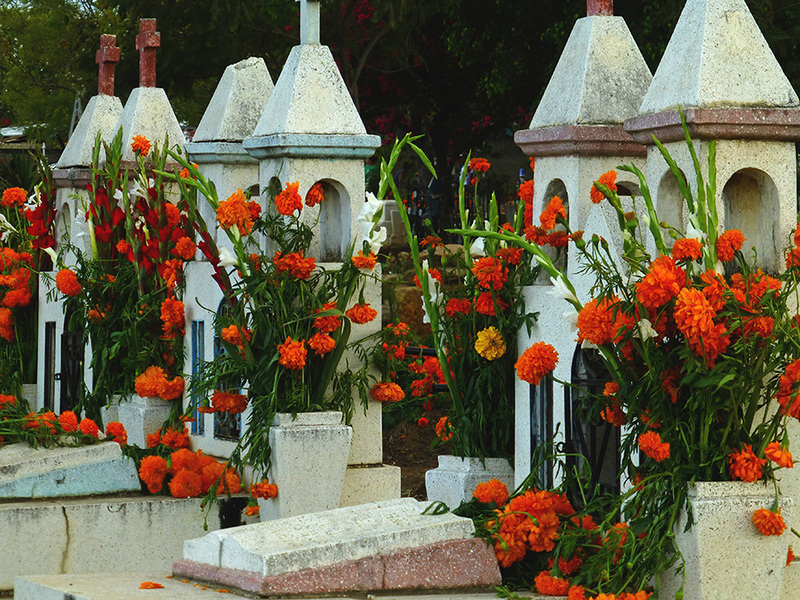 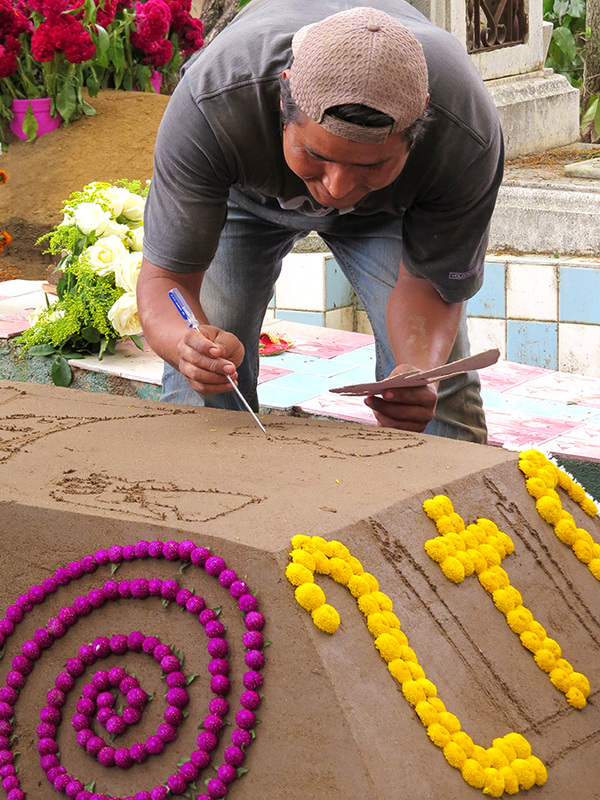 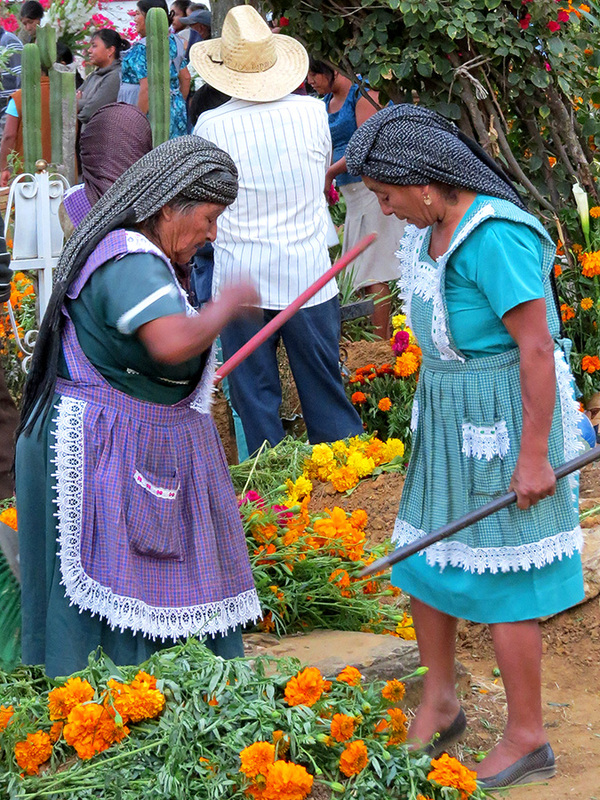 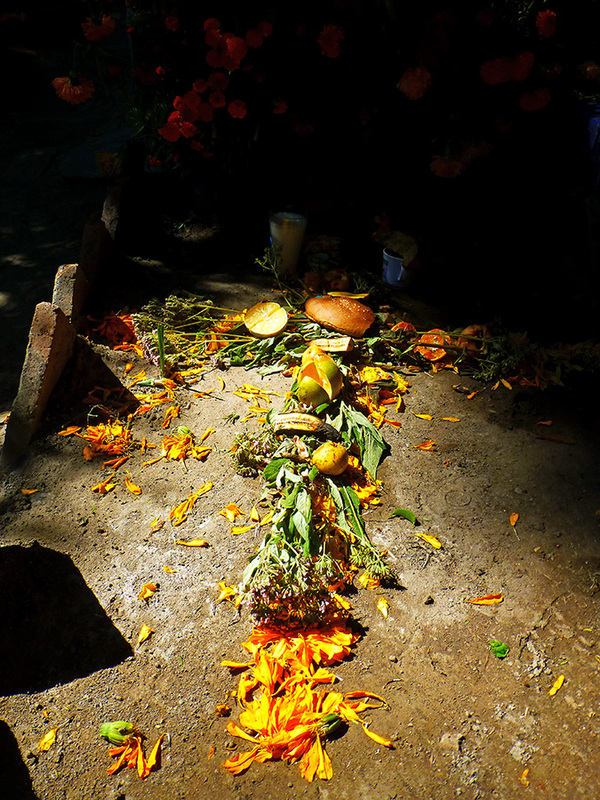 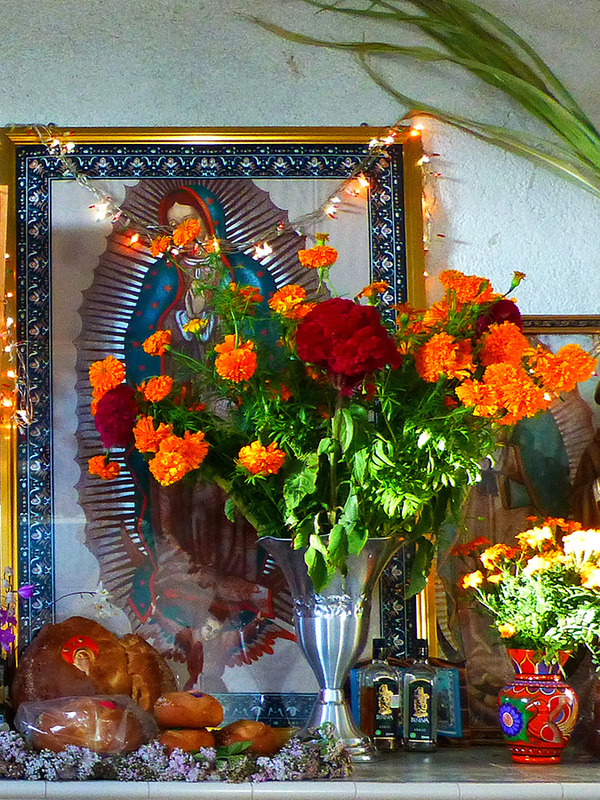 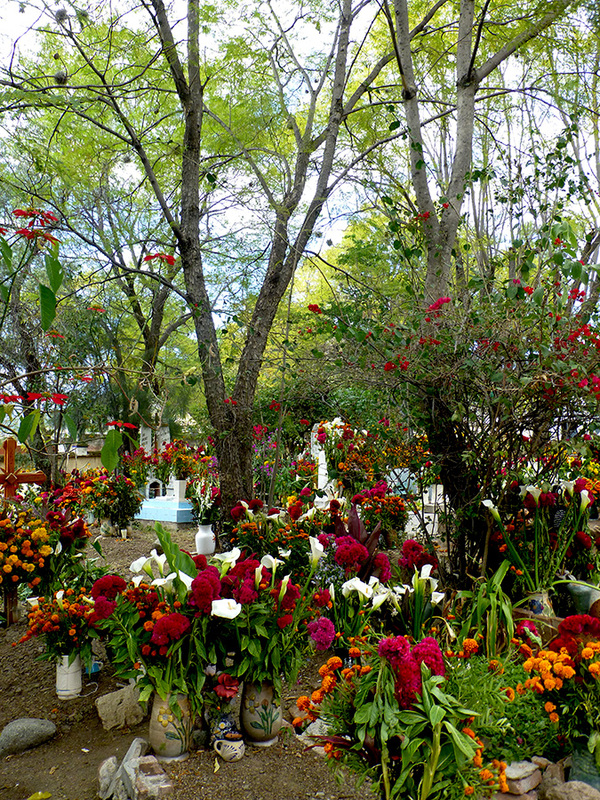 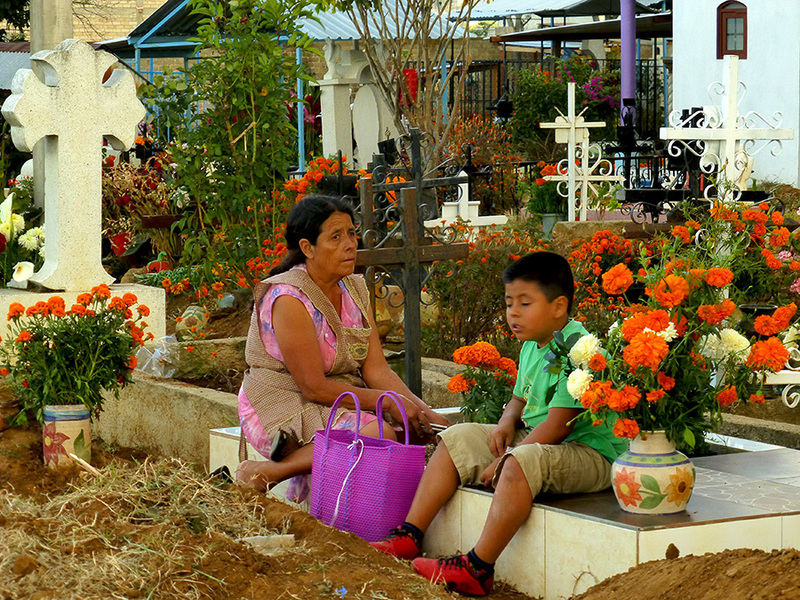 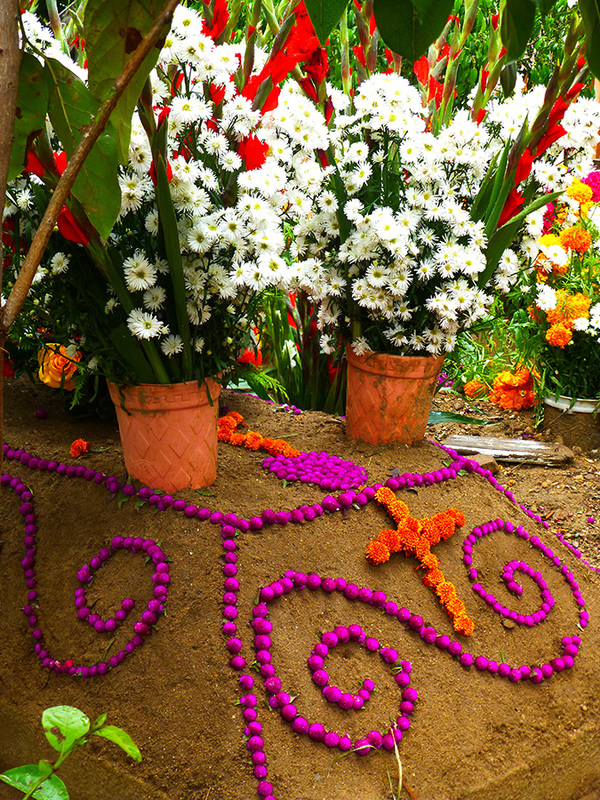 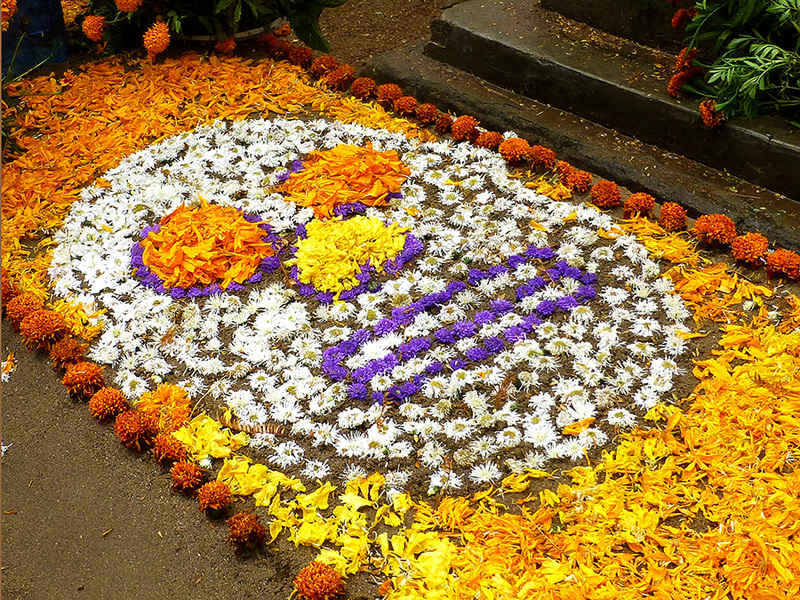 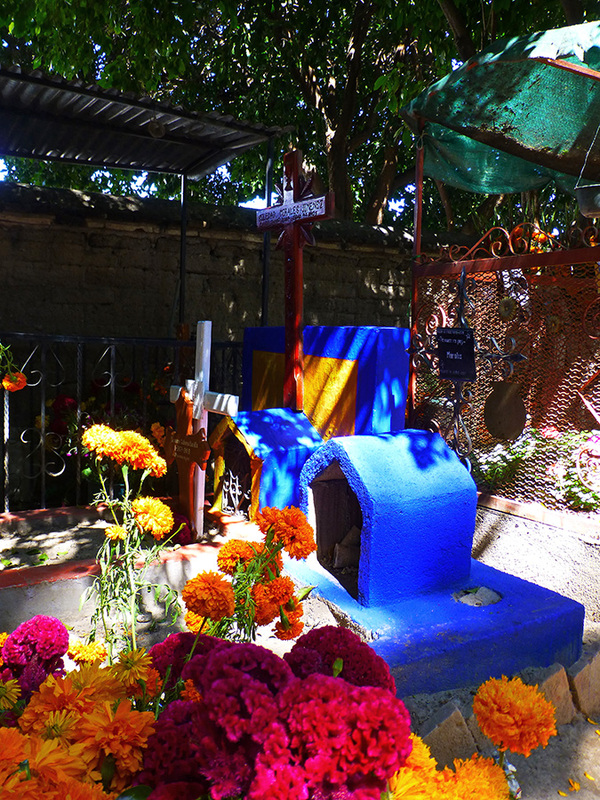 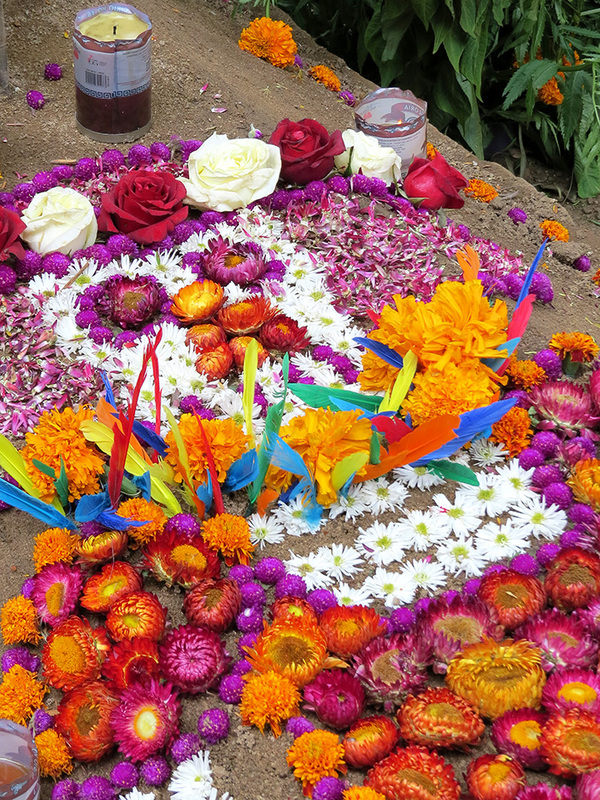 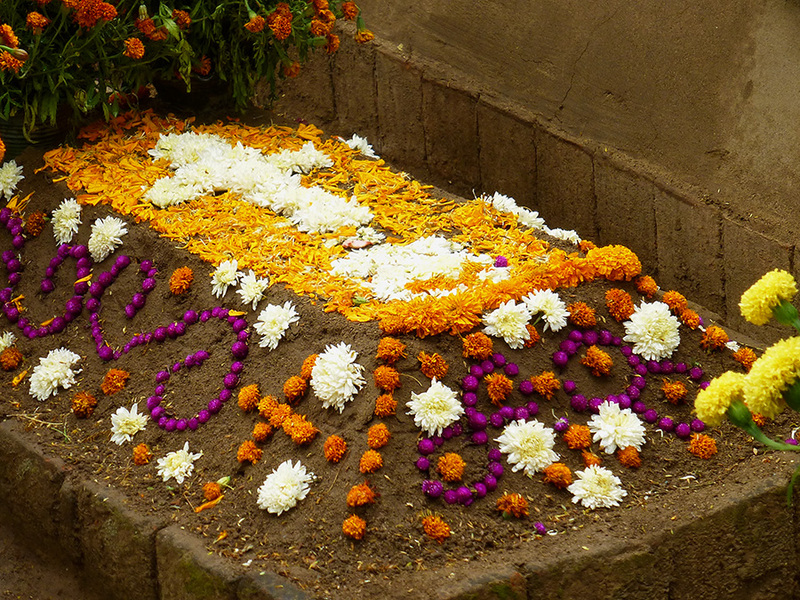 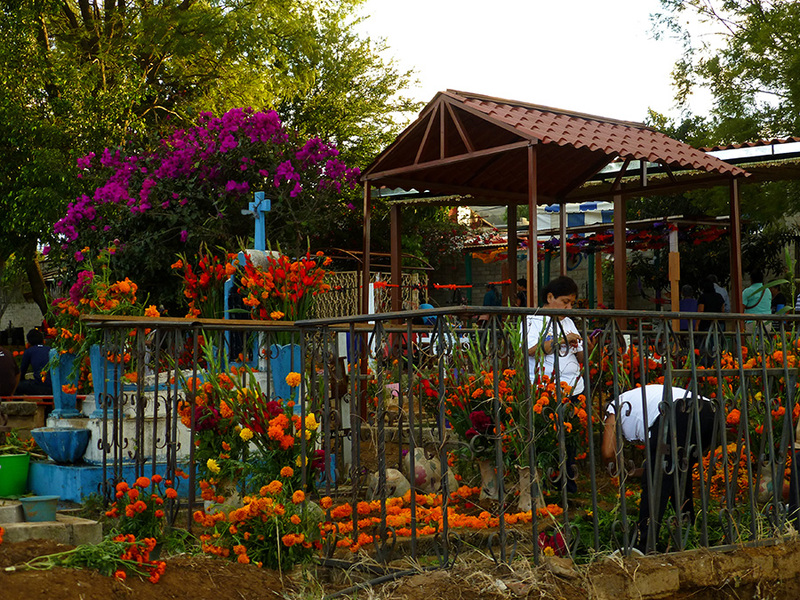 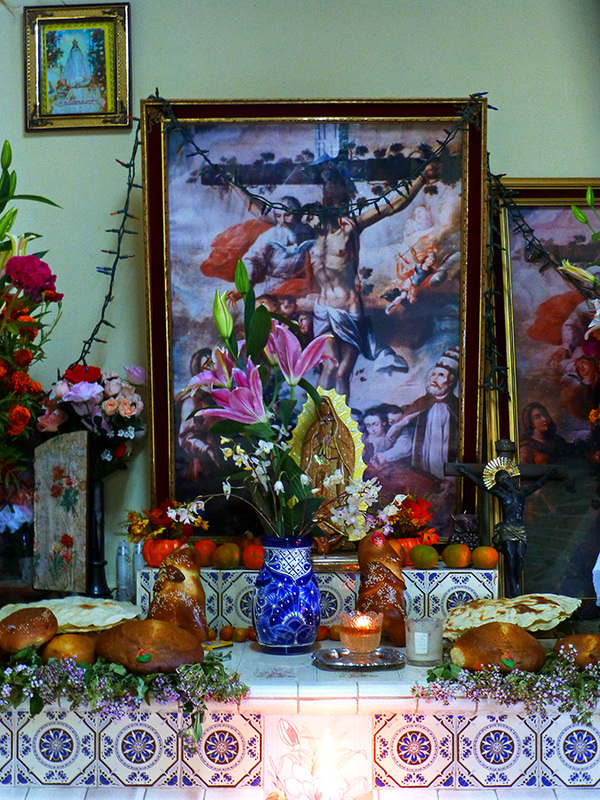 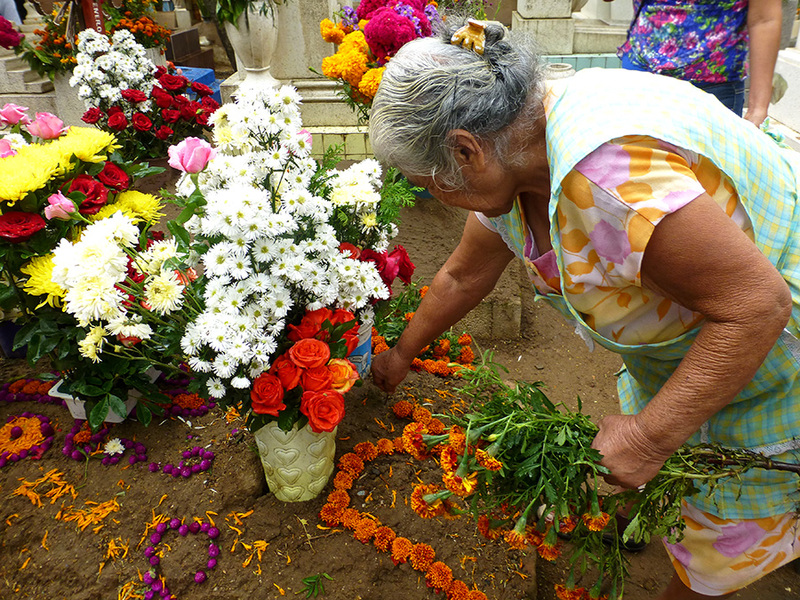 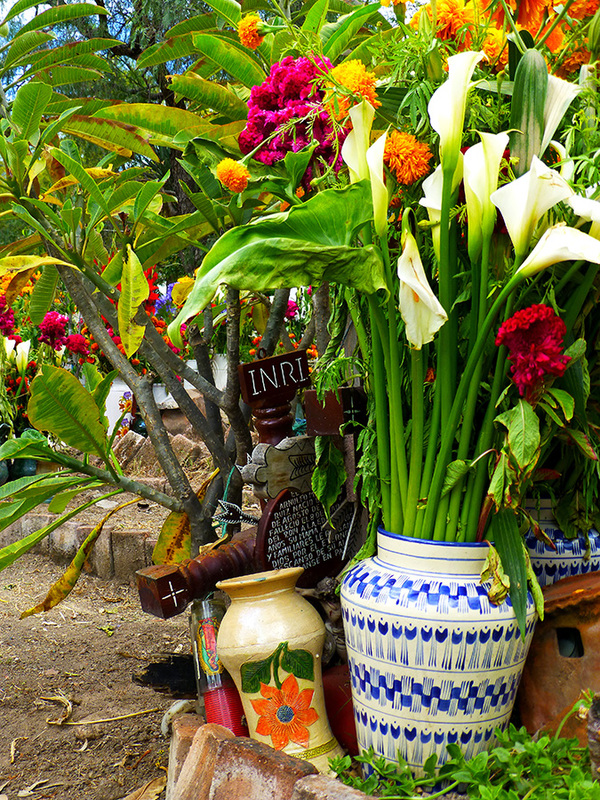 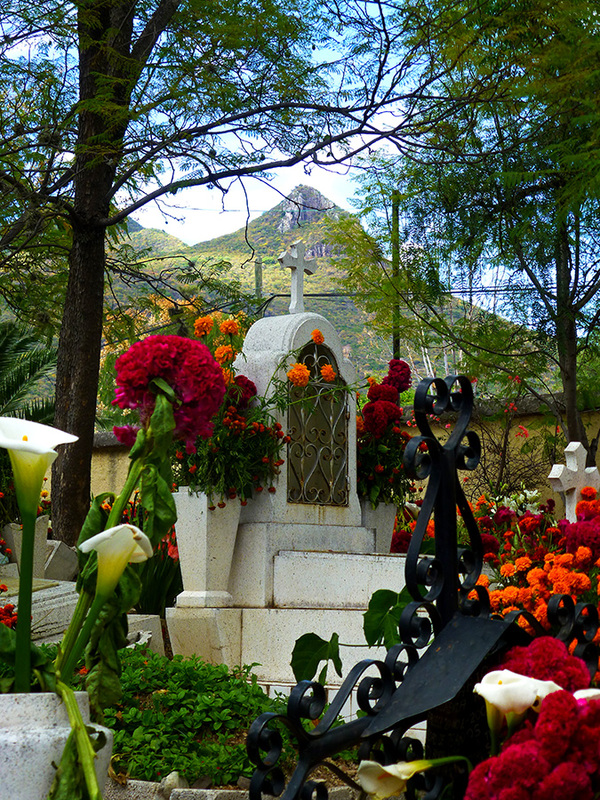 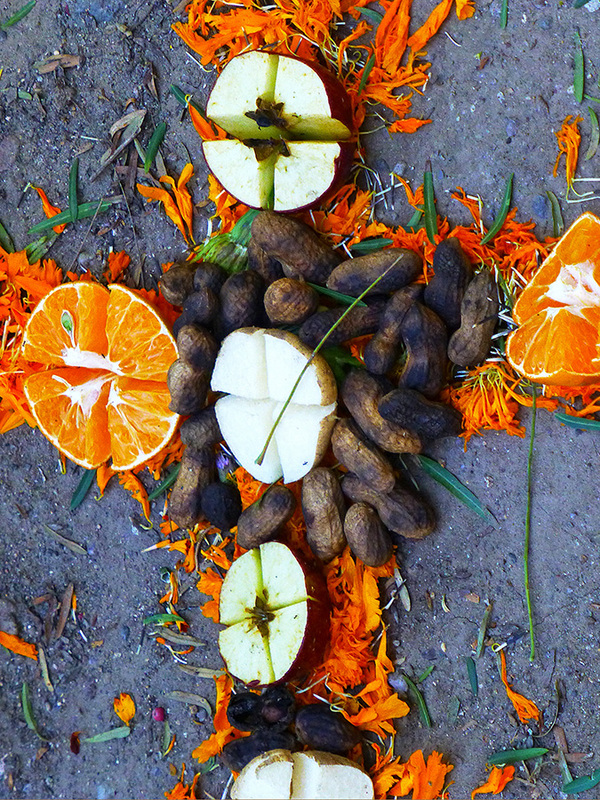 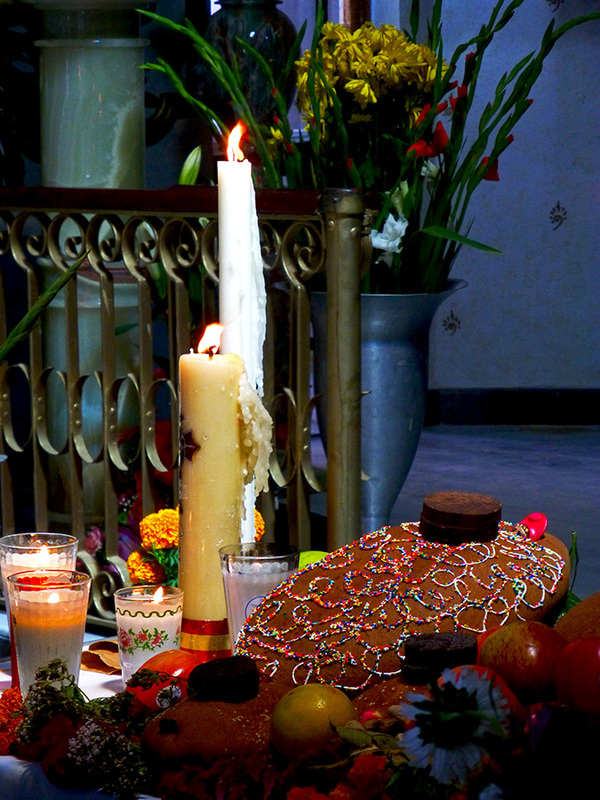 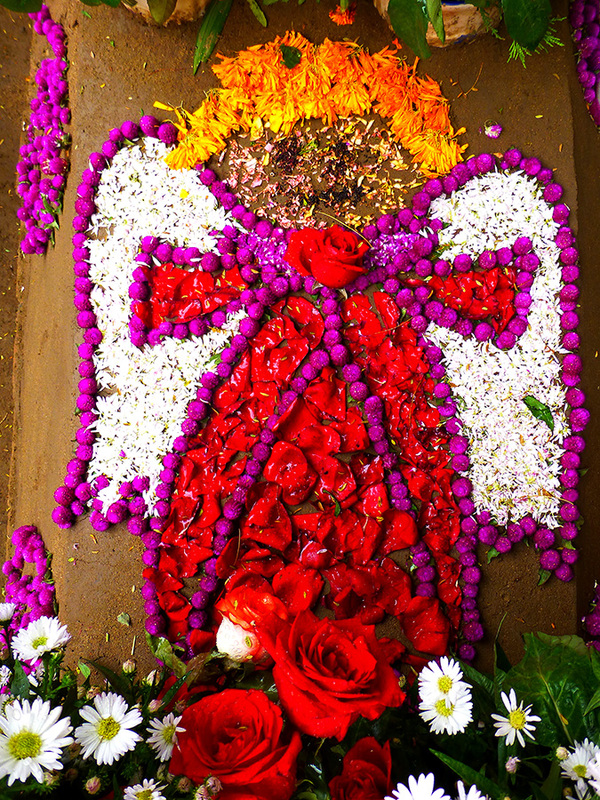 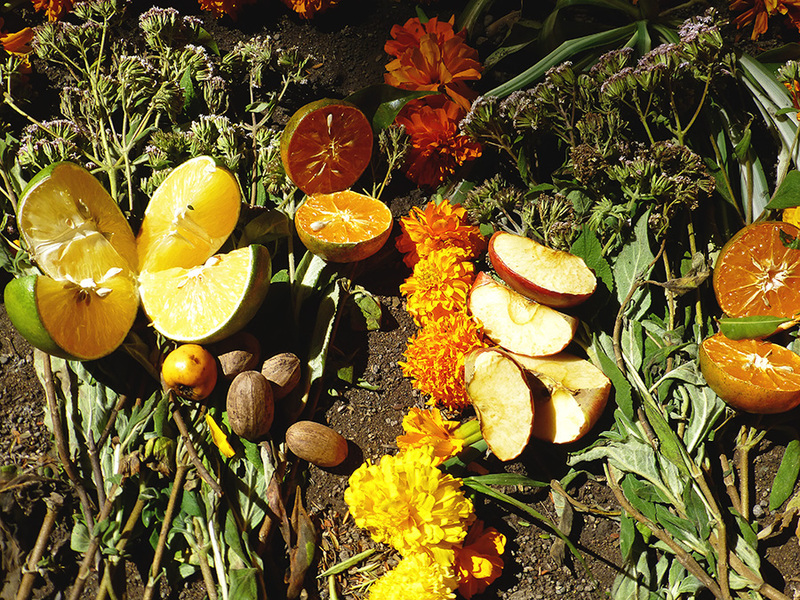 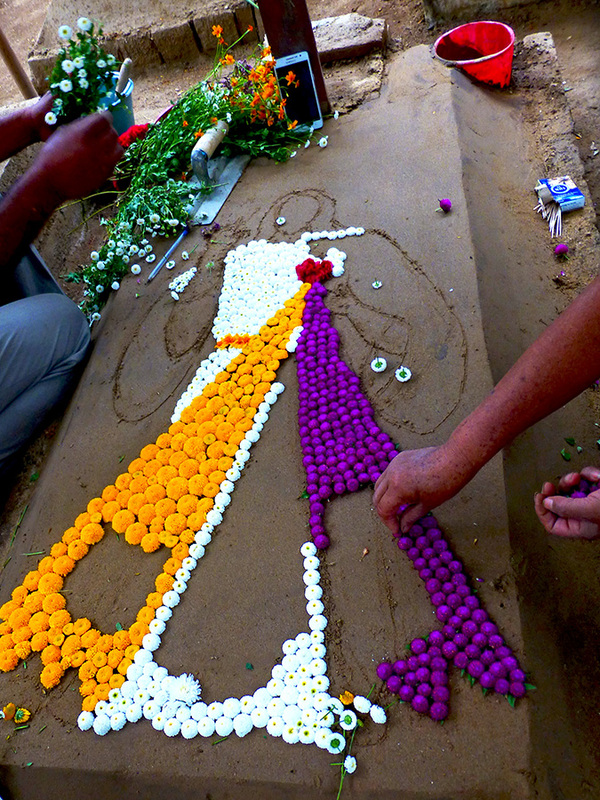 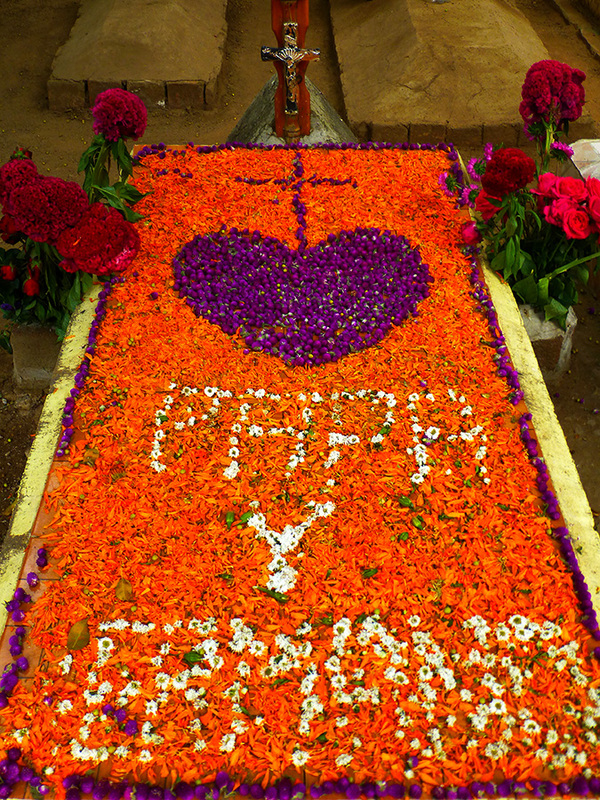 On the list was cockscomb (cresta de gallo or borla de Santa Teresa), marigolds (cempasúchitl), and veruche (also known as flor de muertos). 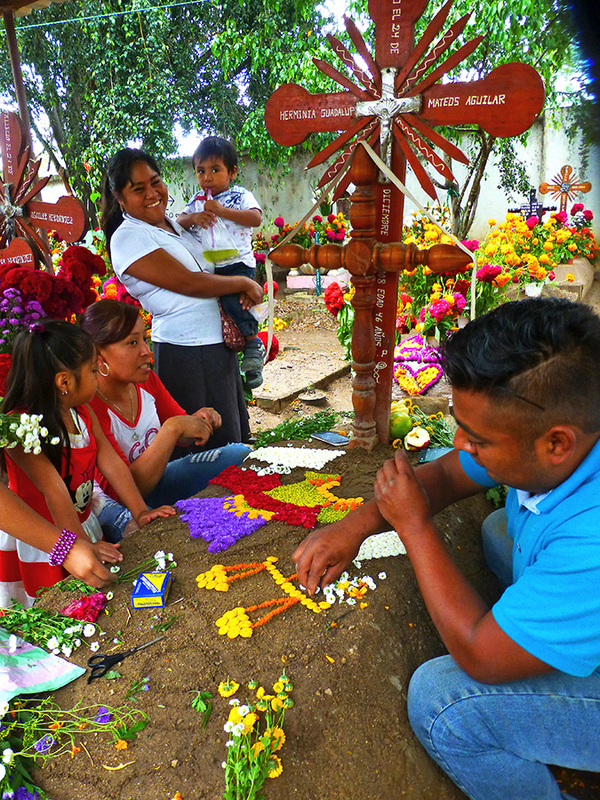 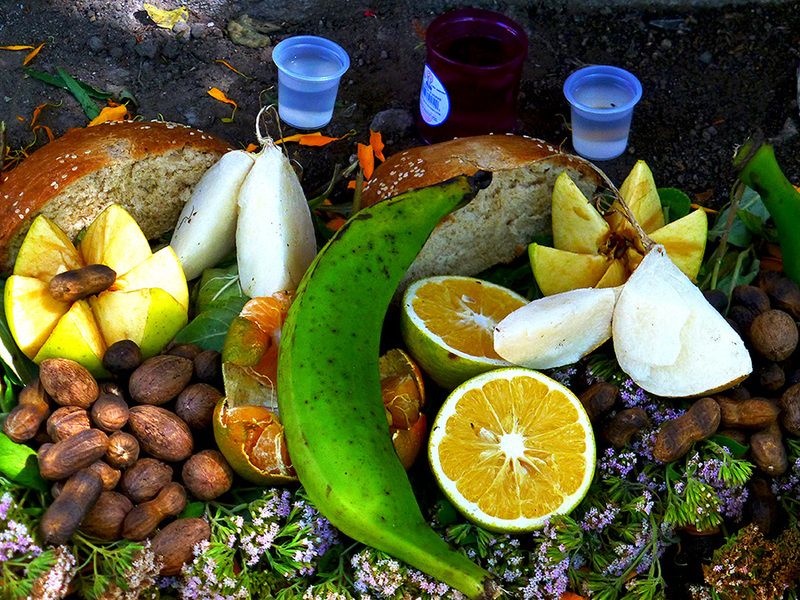 I wasn’t alone, the sidewalks were crowded with other shoppers in search of the same traditional flowers, fruits, nuts, copal, and other items to place on their ofrendas. 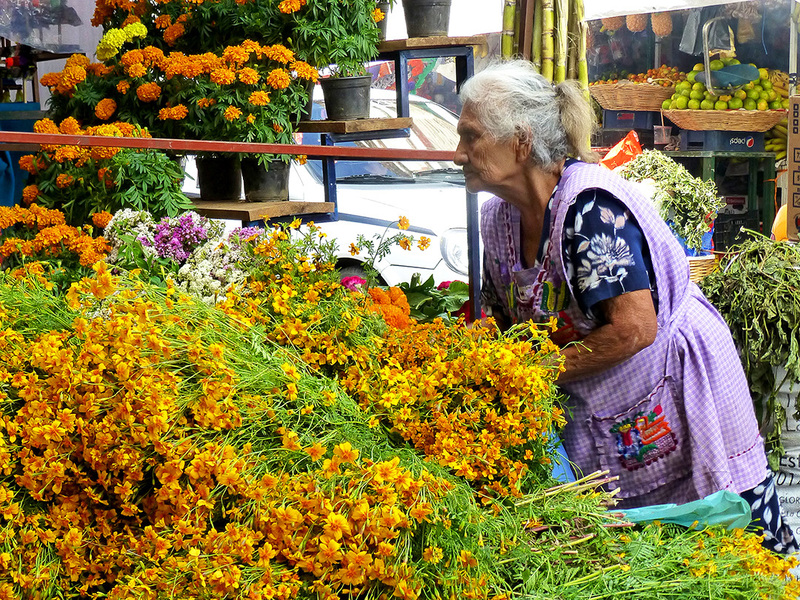 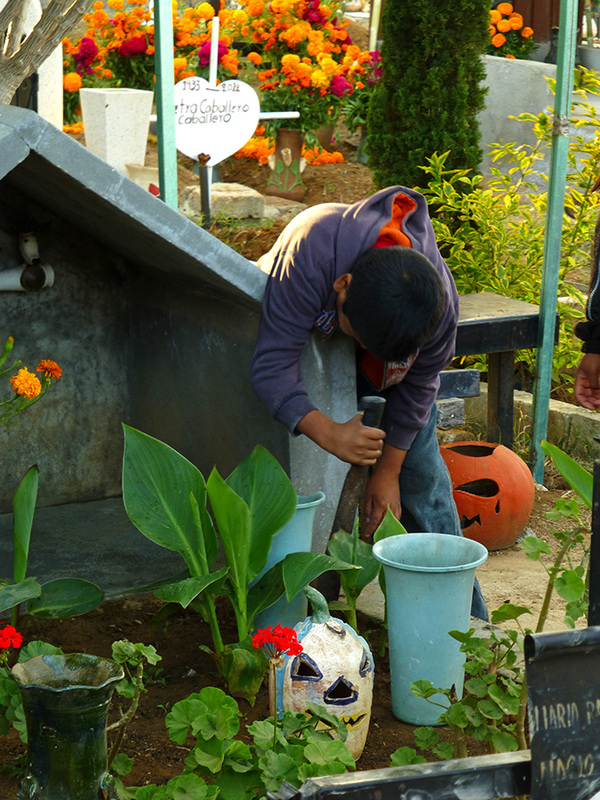 Veruche is a tiny relative of the marigold that grows wild in the valley of Oaxaca at this time of year. 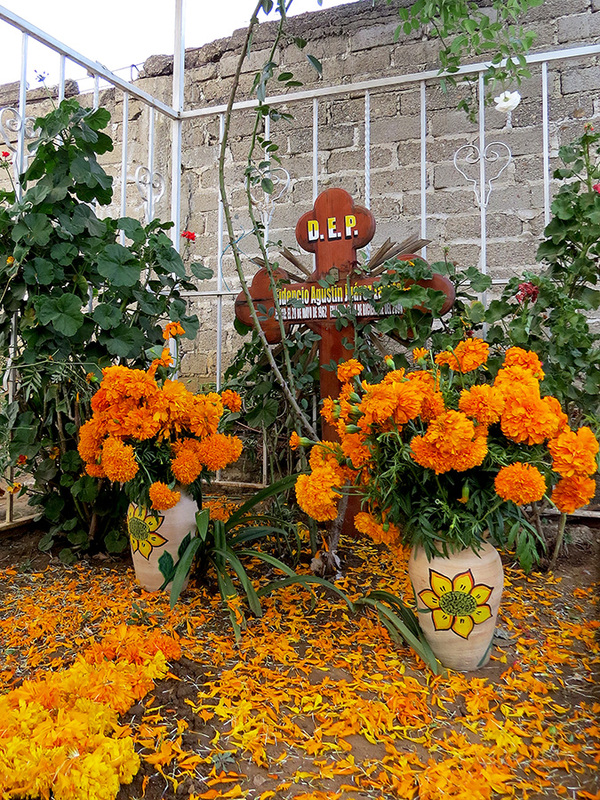 Yellow was the color of death in southern Mexico, long before the Spanish set foot on the continent and, along with the scent of the flowers and smoke from the candles and copal, it is thought to attract the difuntos (spirits of the dead) to bring them to the ofrendas prepared for them. 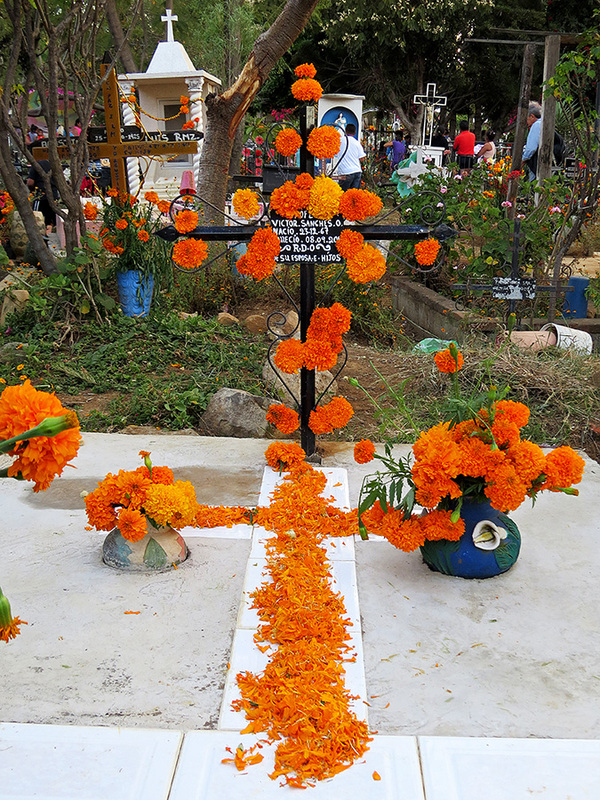 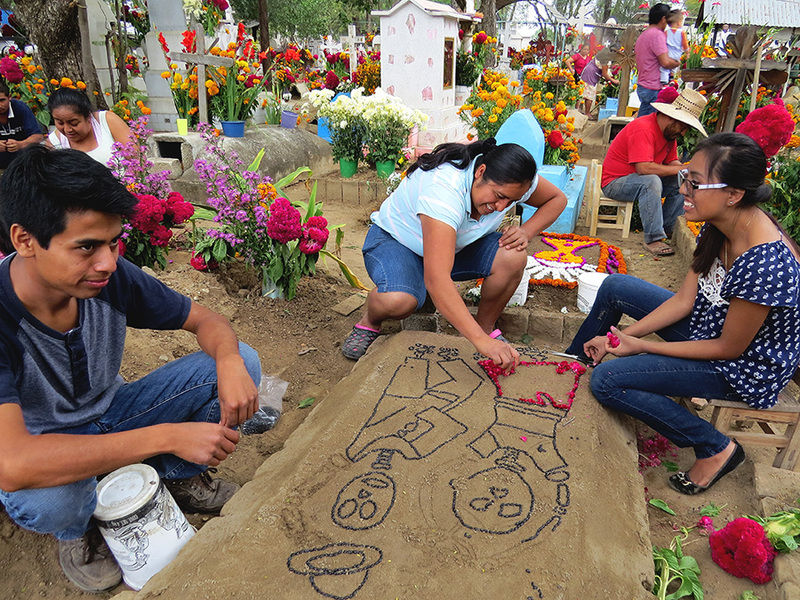 Muchisimas gracias to Shawn D. Haley for his informative presentation at the Oaxaca Lending Library on the Zapotec celebration of Día de Muertos. 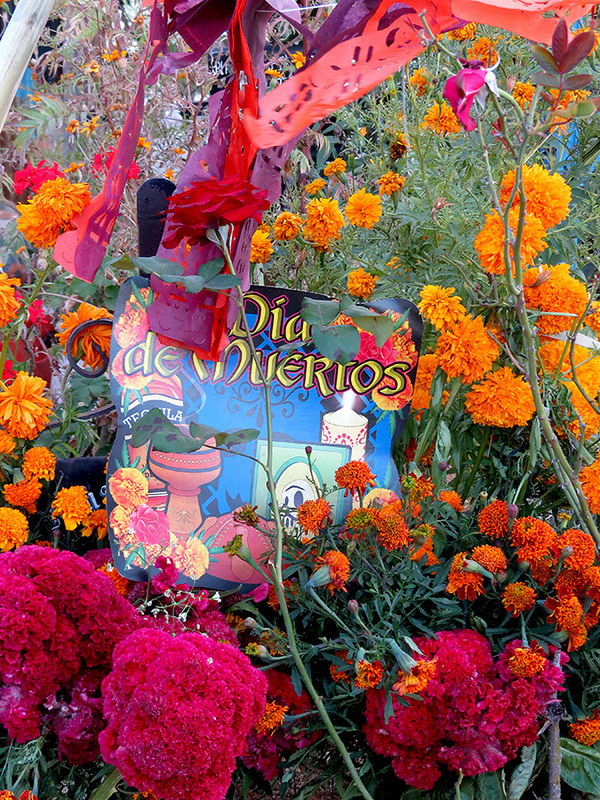 Needless to say, I also purchased the book he coauthored with photographer Curt Fukuda, The Day of the Dead: When Two Worlds Meet in Oaxaca.